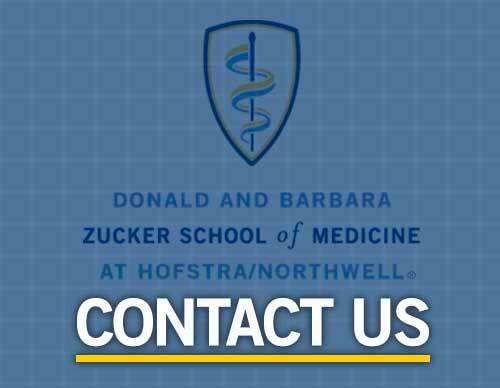 Established in 2008, the Zucker School of medicine was founded by two equal partners: Hofstra University and Northwell Health. The Zucker School of Medicine is built upon the strong clinical and graduate medical education programs of Northwell, as well as the robust research and academic programs of both Hofstra University and Northwell’s Feinstein Institute for Medical Research, including a partnership with Cold Spring Harbor Laboratory. The Zucker School of Medicine currently ranks among top medical schools nationwide for research (U.S. News & World Report, Best Graduate Schools, 2019). A brief history of the School's development is included below. The Association of American Medical Colleges (AAMC), citing population increases, a doubling between the years 2000 and 2030 of the number of citizens over the age of 65, and an aging physician workforce, recommended that medical school enrollment be increased by 30 percent by 2015. On March 26, 2008, with the approval of their respective boards, Hofstra University and North Shore-LIJ Health System entered into a formal agreement that established the School of Medicine, the first allopathic medical school in Nassau County and the first new medical school in the New York metropolitan area in more than 35 years. After a formal search, Dr. Lawrence Smith, nationally recognized for his leadership in medicine and medical education, was appointed as Founding Dean. Dr. Smith had served as the Chief Medical Officer of the Northwell Health System since September 1, 2006, and has continued, as Dean, in the position of Executive Vice President/Physician-in-Chief of Northwell Health. By holding a leadership role in both the University and Northwell, Dr. Smith facilitates a unified approach to maintaining a successful partnership, providing innovative leadership, and ensuring the seamless integration of classroom and clinical experiences. The initial SOM team moves into its first office at Hofstra University's Axinn Library. 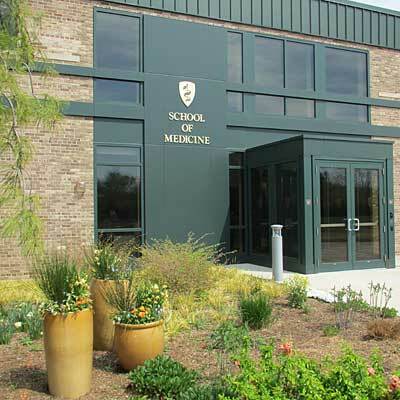 In June 2010, the Liaison Committee on Medical Education (LCME) granted Preliminary Accreditation to the School of Medicine. The School of Medicine officially opened its initial building. The School welcomed its inaugural class. The School opened the doors to its expansion building, which increased the size of the main education site to over 60,000 gross square feet, bringing the total physical structure to 113,000 square feet. The SOM attained Full Accreditation. Effective January 1, 2016, the School of Medicine, formerly known as the Hofstra North Shore-LIJ School of Medicine, became the Hofstra Northwell School of Medicine, in parallel with the new Northwell Health brand. In the wake of new U.S. administration promises to abolish health care reform, Hofstra Northwell School of Medicine students joined forces with the Protect Our Patients movement on Monday, Jan. 30, 2017 to protest the possibility that millions of Americans may lose their health care coverage if the Affordable Care Act (ACA) is repealed. Donald and Barbara Zucker, New York philanthropists and Northwell’s leading lifetime donors, make a generous gift of $61 million in support of the next generation of health professionals – earmarking $50 million for medical student scholarships. In recognition, the medical school is renamed the Donald and Barbara Zucker School of Medicine at Hofstra/Northwell.